Since 1978, our mission has been to promote an environment of goodwill and prosperity among businesses, residents and civic organizations in the greater Hewitt area. We strive to foster, protect and promote the commercial, industrial, civic, agricultural and general interests of the Hewitt community. 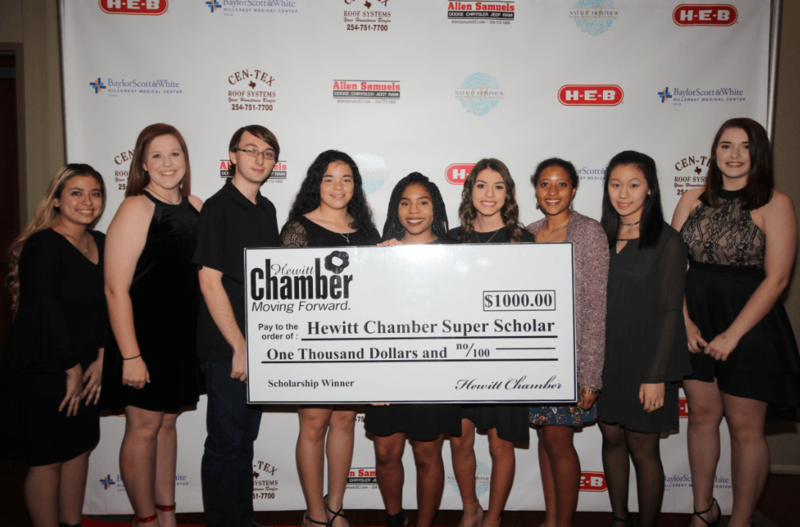 As of now, the Chamber represents 19,000 jobs and 35+ local non-profit organizations, with $60,000 awarded to local students through the Greater Hewitt Chamber Scholarship Fund since 2008. Click here for hard-copy application. Our office receives numerous referral requests from across Central Texas and the U.S. seeking information on businesses and organizations in our area, and our staff refers these prospects to Chamber members. Members are also encouraged to utilize our print and online directory to refer business to one another. The #1 action you can take to see the largest return on your Chamber membership is to attend Chamber events. The GHC on average hosts 7-10 events per month with attendances of 50-60 at luncheons and 3,000-5,000 at community events. It only makes sense that the more you attend, the more connections you’ll make, and the greater the likelihood you’ll be top of mind for referrals. The Greater Hewitt Chamber offers more than 70 events each year, and the strength of our organization rests in these relationships. The more members get to know one another, the stronger our Chamber, community and local economy become. Click here for our events calendar. Members are welcome to serve on any of our committees or in the role of Chamber Ambassador. As the public face of the Chamber, ambassadors are also an extension of the board’s leadership and welcome new members at ribbon cutting ceremonies. Ambassadors also help with member retention by reaching out to fellow members and encouraging them to attend Chamber events. For more information and/or to apply to become an Ambassador, please visit HewittChamber.com/Ambassadors. You may also visit HewittChamber.com/Committees for more information and an application to serve. Event sponsorships are available throughout the year, allowing you to show community support while building brand awareness. Studies show that community event sponsors are viewed more favorably by customers. See more information, including current sponsorship opportunities, under the Events tab of our website or click here for a complete list of opportunities. We offer many advertising opportunities for your business or organization—whether you’d prefer our award-winning print publications (quarterly Hewitt Express magazine and/or our annual Community Guide & Business Directory) or one of our many digital platforms. 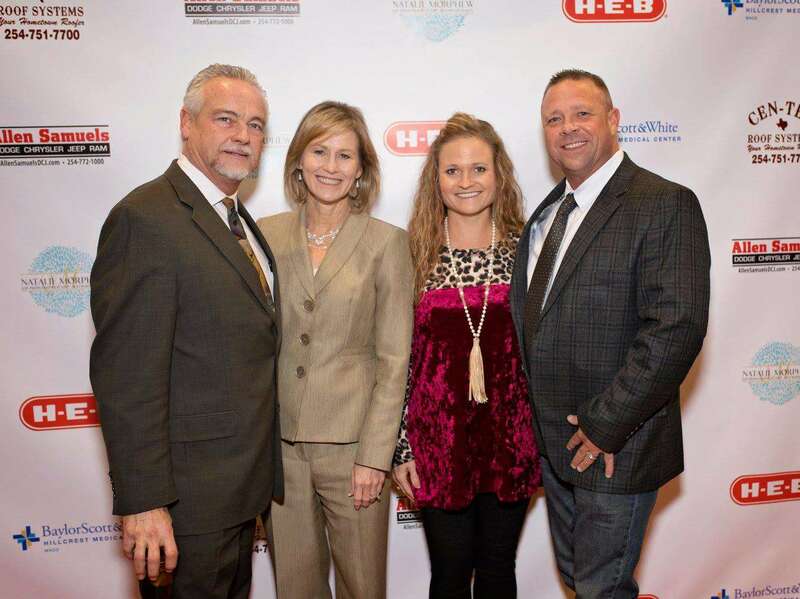 The Greater Hewitt Chamber is a member of the Texas Association of Business, the U.S. Chamber of Commerce & The Texas Chamber of Commerce Executives Association. Our memberships to these state and national associations give us access to policy-makers and offer our members a say in legislation affecting small business. Through networking events, the Greater Hewitt Chamber plays an active role in helping me establish relationships in our business community. 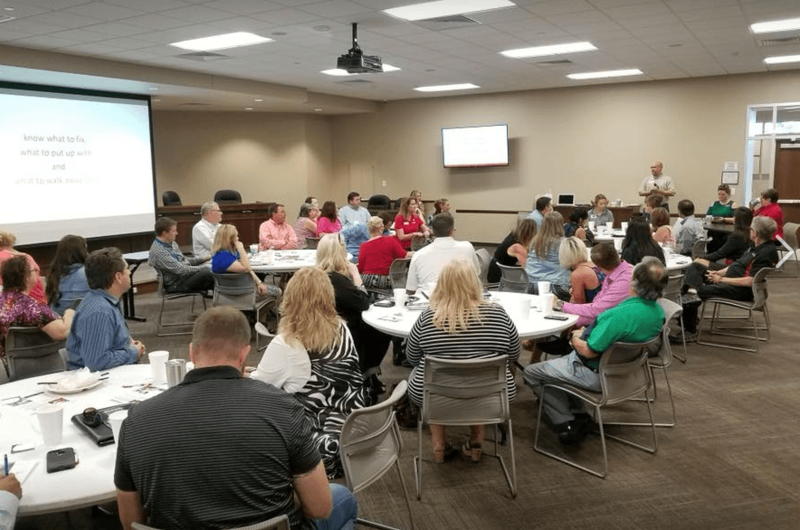 Teaming with a resourceful and well-connected Greater Hewitt Chamber better positions us in achieving our mission and vision. My husband, Mike and I have owned Mr. Electric for 21 years, and we have been a member of the Hewitt Chamber almost that long. I became a Chamber Ambassador in 2008 and a board member in 2009. The Hewitt Chamber has been extremely helpful in promoting our business, and has offered us numerous networking opportunities and ways to market Mr. Electric. Every member is made to feel special — you will never get lost in the shuffle here! As a member of the Greater Hewitt Chamber, I always refer to the business directory on their website. I look for other members of the Chamber for help with projects— whether they are for my home or work. The business directory is a wonderful tool, and I encourage all members of the Chamber to seek out other members when you need something. That’s what the Chamber is all about. 80% increase in the likelihood that consumers will patronize your business in the future. My business isn’t located in Hewitt. Can I still be a member? Yes! Our members are from all across McLennan County. By joining the Greater Hewitt Chamber, your business will benefit from promoting your goods and services to those living and working in the greater Hewitt/Woodway area. Yes! Resident membership dues are $81. Benefits include your name added to our mailing lists— print and e-mail, discounted rates for our events and recognition in our annual online and printed Community Guide & Business Directory. Please click here for the Resident Member Application. 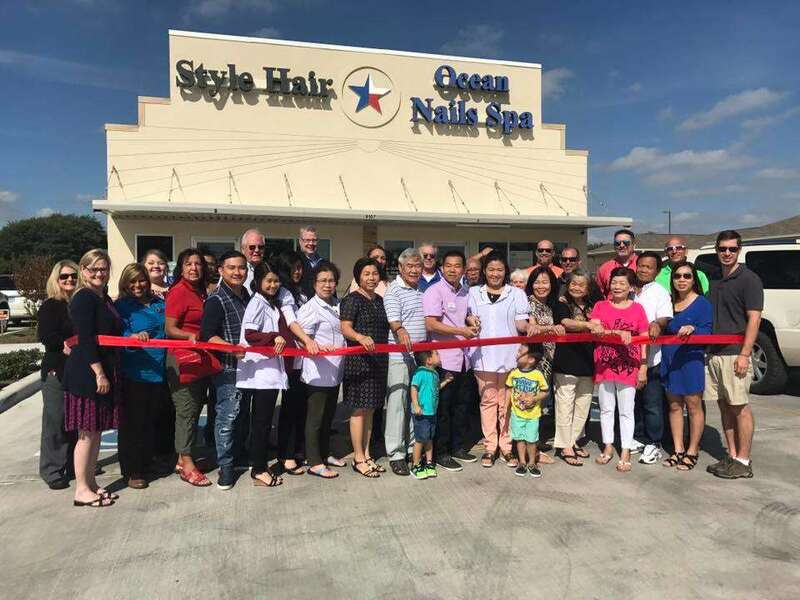 We host an average of six events per month— from ribbon-cuttings to luncheon programs to community events, festivals and more. Visit HewittChamber.com/events for a list of upcoming events. It’s difficult for me to attend events. Would membership still benefit me? We make an effort to provide a variety of convenient event times— morning, lunchtime and evening, but for those unable to attend any event, we offer webinars and access to a variety of advertising and sponsorship opportunities at discounted rates. Studies show chamber membership also increases favorability with consumers. The Greater Hewitt Chamber encourages your employees to engage by volunteering at events or even serving on committees. Do non-profits receive special benefits? They do! Click here for details on the benefits offered to our non-profit members. Call the Chamber office at 254.666.1200. Our staff will be happy to help you!